This third edition of an international bestseller--over 2 million copies sold worldwide and translated into 33 languages--details how its powerful insights on motivation, conflict, and collaboration can benefit organizations as well as individuals. 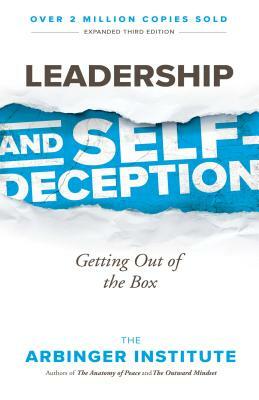 Since its original publication in 2000, Leadership and Self-Deception has become an international word-of-mouth phenomenon. Rather than tapering off, it sells more copies every year. The book's central insight--that the key to leadership lies not in what we do but in who we are--has proven to have powerful implications not only for organizational leadership but in readers' personal lives as well. Founded in 1979, the Arbinger Institute has helped thousands of individuals, teams, and organizations achieve breakthrough results by making the one change that most dramatically improves performance, sparks collaboration, and accelerates innovation: a shift from the default self-focus of an "inward mindset" to the others-inclusive results-focus of an "outward mindset." Arbinger's training and consulting programs are specifically designed to facilitate this change. —Verne Harnish, cofounder, Entrepreneurs’ Organization, and CEO, Gazelles, Inc.